Another important lesson given by the blessed month of Ramazan in Islam is the importance of taking care of needy people and do charity. 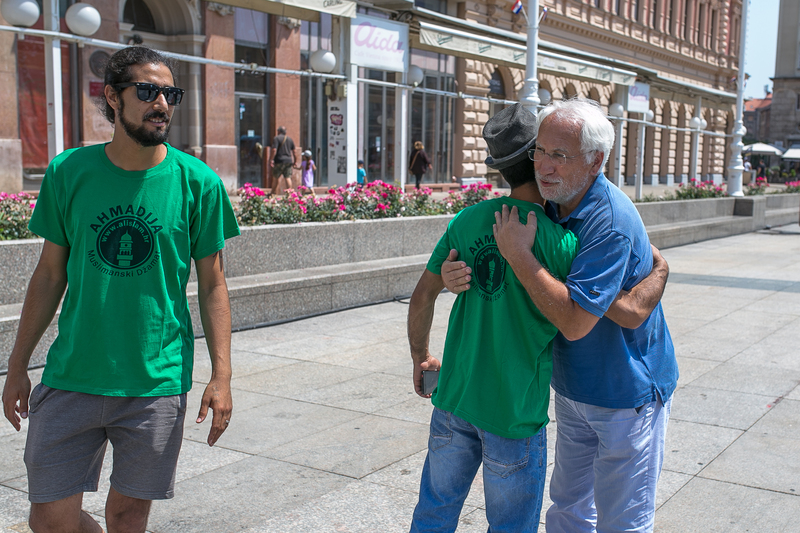 In accordance with this Islamic lesson, the Ahmadija muslim džamat Croatia organised a project helping needy people to buy food. 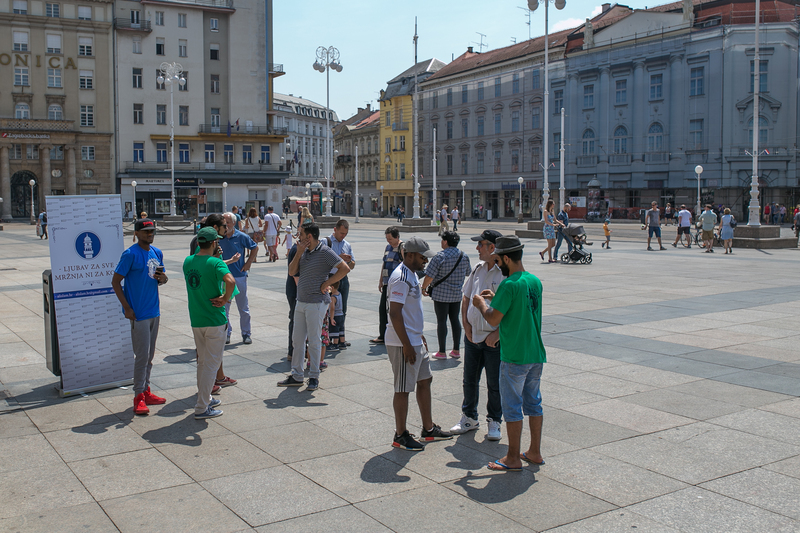 The project was carried out on the 31st of May at 12 o clock at the main Square Bana Jelacica of Zagreb, the capital city of Croatia. The project assisted more than 30 families to buy food with a total amount of 12.000 Kuna. Each family got a gift-card to buy food from any grocery store of Spar. After handing out envelopes with the gift-cards a group photo was taken with the attendees. Head of Ahmadiyya Mission Croatia Mr Rana Munawwar along with friends and other members of the Ahmadija muslim džamat including Mr Sead Mulabegovic, Mrs Nasiha Mulabegovic, Mr Balde Yahaya, Mr Yasser Almasri and Mr Aisa Rigg contributed for project completion and gave personal example by following the sayings of the Holy Prophet saw that whoever provides food to a needy person will be rewarded with ever increasing blessings by God Almighty. What I want to hear from TMT, a news that Ahmadiyyah has collected donation ( money) for Ahmadiyyah victims in Lombok, Indonesia, they are the most need help. They live in poverty, their houses have been destroyed and live as refugee in other cities—- very sad, pity and heartbreaking. Of course the money is there. Donations come without even asking for it. But as I said before in Lombok some houses got destroyed again and again. It is essential to try and obtain the Government’s ‘say’ that at least they will try to prevent further destruction.